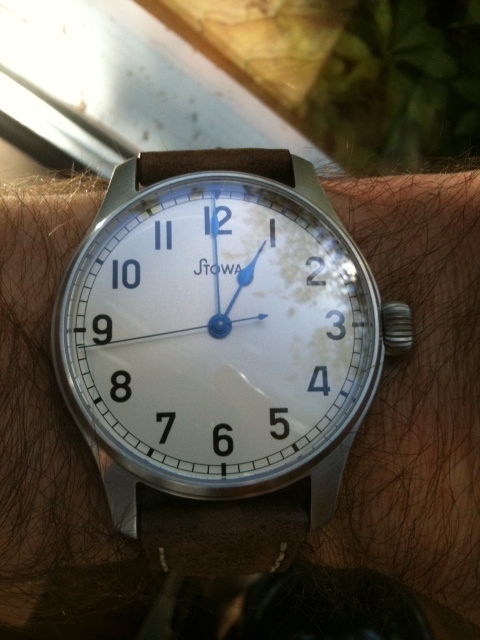 These watches are just 1mm difference,so I would think the ProDiver would work if your Stowa KS does! I wear the smaller KS. Renisin, dillon_s and liverpoolreds8 like this. Yeah the KS is 44.6 lug to lug vs. the KS 41 is 50.2. I really wish there were some photos of people with smaller wrists wearing the KS 41. Though the KS does look like it is a great fit for you DC. Taking the family to church,then breakfast and baseball practice! Have to go with the Marine Original for church and then do the old switch a rue for baseball! Last edited by duetaa; September 9th, 2012 at 16:18. That is perfect! Thanks for the link. If I read french it would be even better! Pictures are still great to look at though. Thanks again! Showing this one some love today! cheapshades2012 and WatchFrog like this. flyingpicasso, Renisin, J_Hack and 2 others like this. SelmerSuperAction80II, cheapshades2012, Michael OConnell and 1 others like this. Renisin, SelmerSuperAction80II and cheapshades2012 like this.